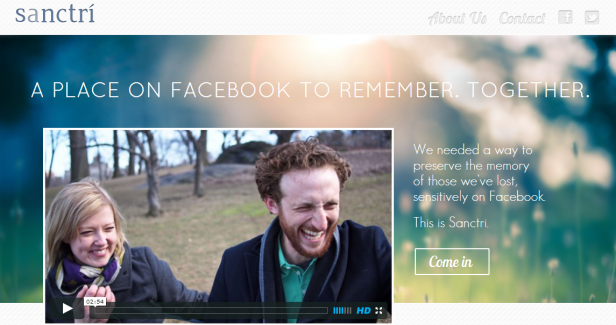 Jono Milner has created a new app called Sanctri that uses Facebook in a new light by allowing you to create memorial pages as a way to help people cope with the loss of loved ones through their favorite social media medium. 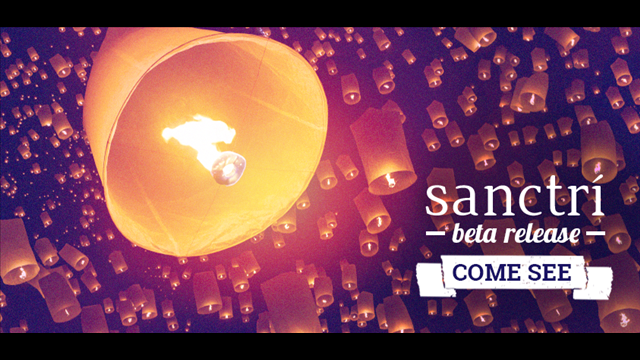 Sanctri creates a private page on Facebook that can be controlled by the page’s creator to be seen and/or modified by anyone or just a specific group of people. Facebook does already allow users to submit a “memorialization request” that turns a recently deceased person’s account into a memorial page, but the process is prone to mistakes and doesn’t provide the immediate need to grieve that most people require when they lose a loved one. I think it’s a good idea, but do these pages last forever? If so, then I’m not sure they really facilitate people through the grieving process, the end goal of which is to help people move on with their lives. The page could cause people to enter a perpetual state of grieving that’s more of a negative impact in their lives than a positive one. Have you lost someone and had their Facebook account turned into a memorial page? If so, please share your experience and let us know how the process played out.